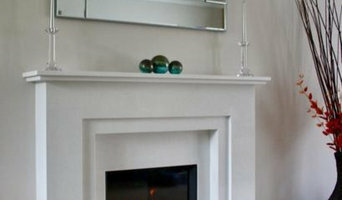 The Flame Studio offers a range of modern and traditional fireplaces to suit any home. 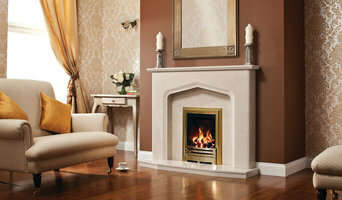 We have a range of quality fires and surrounds on offer, and bespoke fittings can be arranged. We are a small family run business specializing in the restoration and sales of reclaimed period fireplaces and architectural salvage. We are a wood burning & Multifuel Stove showroom based in Monkseaton nr Whitley Bay. We are a one stop shop for all your needs when wanting a wood burning stove installed in your home. We also sell & display hearths, fire surrounds, wood beams & all the accessories required to finish off your stove. 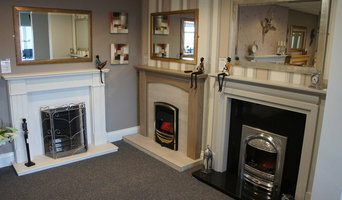 John Willetts Fireplaces & Stove Centre is an independently owned family run business established since 1975 with two showrooms, one in Spennymoor Co Durham and the other at Wrekenton in Gateshead. The business has grown from a one-man band working from a garage, growing and developing over the years culminating in to the largest fireplace showroom in the North East of England. In addition to the showroom there is a large factory unit stocking slabs of marble and granite from which our customers choose their particular piece. Also stocked in this unit are solid oak beams, again customers choose their own beam which is cut, sanded and finished to their particular requirements. A visit to our showroom is an absolute must for the discerning customer where you will be greeted with enthusiastic and knowledgeable sales staff who will guide you through the wide range of products available. Renowned for both the design and quality of fire surrounds, Elgin & Hall is a leading manufacturer of fireplaces with an enviable reputation for creating the best in the industry. With a heritage of over 50 years, Elgin & Hall has an unmatched reputation for quality and reliability. Originally based in Wensleydale in North Yorkshire fireplaces were individually created by craftsmen and artists using time honored skills and specialist materials. Whether adding the impression of mellowed stone to a traditional period fireplace or bringing the feeling of timeworn slate to a contemporary design, the craftsmen used a wide range of colours and textures to maximum effect. Whilst retaining many of the classic Elgin & Hall designs, the product range continues to evolve to meet the needs of today’s consumers. Elgin & Hall form part of the Be Modern Group of Companies who are based in the North East of England and are the UK’s leading manufacturer of fires and fireplaces. Some fuels burn more efficiently than others in certain conditions. But it is also about the ambience that different fireplaces and stoves can create. If your chimney is functioning and the flue is in good working order then you might prefer a traditional wood-burning stove, log-burning stove or Victorian fireplace for your period property or cottage. Combined with a marble or stone fire surround, the latter will add a rarified sense of grandeur to any dining room or lounge, but it does take a while to get going. Ventilation is also an important consideration, as is practicality. You’ll be clearing away ash on a regular basis. First thing’s first though: check with your Newcastle upon Tyne, Tyne & Wear authority to see if you live in a Smoke Control Area – fireplace installation specialists in Newcastle upon Tyne, Tyne & Wear may also know this. Compact freestanding stoves, either multi-fuel, gas, oil or electric, have become very popular in recent years as homeowners try to rekindle the open-fire romance of yesteryear. But if efficiency, lower energy bills and fuss-free heating are more important, a gas fire scores highly, particularly the flueless gas fire variety, which draws waste gases out through a duct. You will also have much better control of the temperature. That said, the gold standard of sustainable heating and performance is the bioethanol fireplace – smoke-free, odourless and not a speck of ash to be seen. 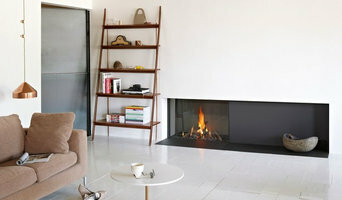 Meanwhile, fans of sleek and minimal design will melt away at the sight of a hole in the wall gas fire. These preserve valuable floor space, will comfortably heat a small living room and come in a variety of beguiling forms – a fire ribbon row of flames, a fire bowl or fire basket with pebbles. It’s like magic. Ask your fireplace installation expert in Newcastle upon Tyne, Tyne & Wear or local showroom to show you all of the different types so you can clearly see the difference. When considering your options, talk with your fireplace installation specialist in Newcastle upon Tyne, Tyne & Wear about the size of area you wish to heat, the current sources of heat (such as central heating), potential heat loss (through windows, for example) and degree of insulation. If your home is modern or well insulated it probably makes sense to choose a fireplace, fire or stove that works efficiently on a low setting to avoid over heating! Where can I find the best fireplaces, specialist fireplace showrooms and fireplace installation in Newcastle upon Tyne, Tyne & Wear? Search on Houzz for Newcastle upon Tyne fireplace experts and showrooms in the Find a Pro category and then start collecting your favourite images in an Ideabook. Contact your preferred company for a free consultation in their showroom or at home. 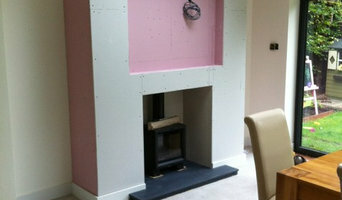 Many will be able to offer a comprehensive service, from consultation and bespoke design to installation and aftercare. Don’t run straight to the cheapest. Build up your knowledge and balance price with quality of design and service. Search for fireplace showrooms and specialists that offer fireplace installation in Newcastle upon Tyne, Tyne & Wear on Houzz and see past projects, photos and reviews in order to find the best fireplace and professional.